Bill Callahan, an underground-rock musician (vocal & guitarist) was born in Silver Springs, Maryland. Bill previously recorded and performed under the band name Smog. Callahan began working in the lo-fi genre of underground rock, with home-made tape-albums recorded on four track tape recorders. Later he began releasing albums with the label Drag City, to which he remains signed today. During 1993 to 2000, Callahan's recordings grew more and more "professional" sounding, with more instruments and a generally higher sound quality. In this period he recorded two albums with the influential producer Jim O'Rourke and Tortoise's John McEntire, and collaborated with Neil Hagerty. After 2000's Dongs of Sevotion, Smog began moving back to a slightly simpler instrumentation and recording style, as on the albums Rain on Lens, Supper, and A River Ain't Too Much to Love. Smog's songs are often based on simple, repetitive structures, consisting of a simple chord progression repeated for the duration of the entire song. His singing is strikingly characterized by his baritone voice and a style of delivery free of over emoting. Melodically and lyrically he tends to eschew the verse-chorus approach favoured by many contemporary song writers, preferring instead a more free form approach relying less on melodic and lyrical repetition. Themes in Callahan's lyrics include relationships, moving, horses, teenagers, bodies of water, and more recently, politics. Smog's generally dispassionate delivery of lyrics and dark irony often obfuscate complex emotional and lyrical twists and turns. Critics have generally characterized his music as depressing and intensely introverted, with one critic describing it as "a peep-show view into an insular world of alienation." Despite this there is also a broad swathe of joy throughout Callahan's work and more attentive critics have picked up on Callahan's tendency to black humour, a tendency often confused with a depressed mental state or a genuine obsession with the morbid, a confusion no doubt caused by his deadpan vocals. Smog's "Cold Blooded Old Times" appears on the High Fidelity soundtrack. In 2000, Smog's "Hit the Ground Running" (from Knock Knock) was featured over the ending credits of the film Swimming. The song "Vessel in Vain" (from Supper) was used on the soundtrack of the independent British film Dead Man's Shoes in 2004. In 2005, the track "A Guiding Light" (from Supper) appeared on the soundtrack of Winter Passing. In 2008, the Bill Callahan song "Night" (from Woke on a Whaleheart) was featured in the teen buddy comedy College. The 2007 EP Diamond Dancer and full-length Woke on a Whaleheart both mixed the intimate, reflective, largely acoustic sound of later Smog albums like Supper and A River with gospel, soul, and pop elements, and boasted arrangements by former Royal Trux mastermind Neil Hagerty. For 2009's Sometimes I Wish We Were an Eagle, Callahan returned to the more intimate, acoustic-based sound of latter-era Smog albums, featuring string and brass arrangements by Brian Beattie. Currently living in Austin, TX Bill prepares his new record "Dream River", an album which comes out via Drag City. Callahan embarks on a two-month tour in support of the release the 2013 fall. 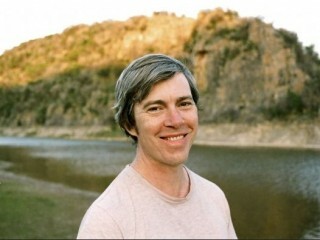 View the full website biography of Bill Callahan (musician).